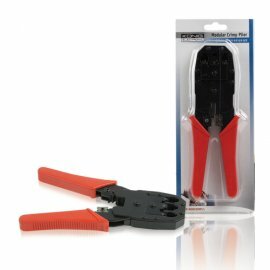 Kete artikull mund ta keni vetem me porosi! 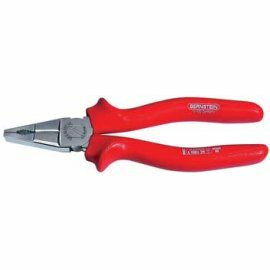 KNIPEX Dana - Shtrenguese 87 41 250 Raptor Pliers for metric and imperial nuts and screws with widths across flats from 10 to 32..
Kete artikull mund ta keni vetem me porosi! 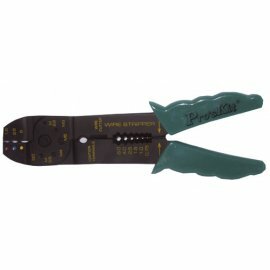 Dana 115 MM 3-715-1 COMBINATION PLIER 115MM, BERNSTEINIT ISOLATION LENGTH: 115MM WITH INSULATION BERNSTEINIT ..
Kete artikull mund ta keni vetem me porosi! 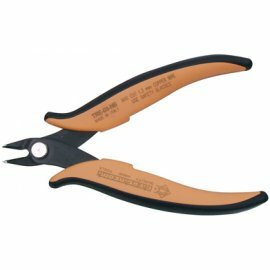 Dana 160MM 3-235-1 PHONE INSULATED PLIERS 160MM BERNSTEIN Oval-pointed with 3 functions: pliers, gripping pliers and wire cutters. 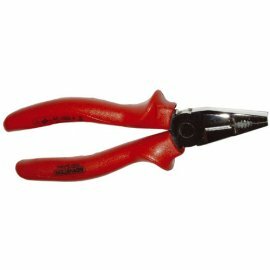 Short jaws, made w..
Kete artikull mund ta keni vetem me porosi! 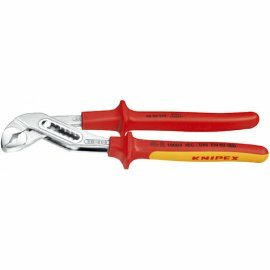 Dana 160MM VDE KNIPEX with gripping zones for flat and round material, suitable for versatile use with cutting edges for soft and har..
Kete artikull mund ta keni vetem me porosi! 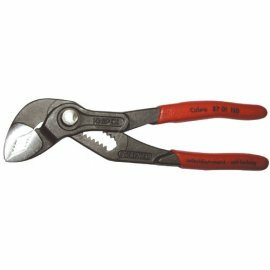 Dana 165 MM 3-732-1 COMBINATION PLIER 165 MM, BERNSTEINIT ISOLATION The pliers are made ​​of special tool steel and the blades are hardened addit..
Kete artikull mund ta keni vetem me porosi! 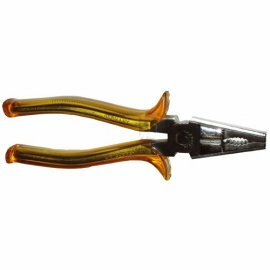 Dana 180MM 3-215-1 MECHANIC PLIER 180MM INSULATED BERNSTEINThe pliers are made ​​of special tool steel and the blades are hardened additionally in p..
Kete artikull mund ta keni vetem me porosi! 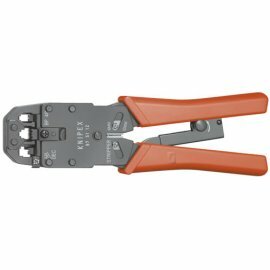 Dana 185MM 13-937VDE COMBINATION PLIER 185MM SAFETY ISOLATION Ju lutem na kontaktoni per cmimin aktual ditor , sepse ka mundesi ndryshimi..
Kete artikull mund ta keni vetem me porosi! 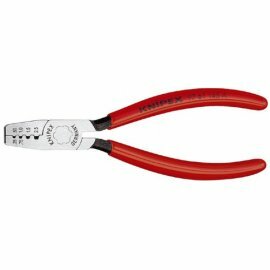 Dana 185MM-Bernstein 3-205-1 MECHANIC PLIER 185 MM, THIN FLAT, BERNSTEINIT ISOLATIONThe pliers are made ​​of special tool steel and the blades are har..
Kete artikull mund ta keni vetem me porosi! 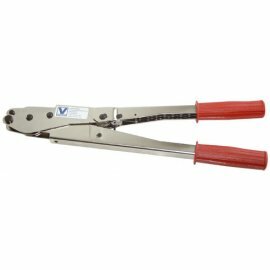 Dana 200MM The pliers are made ​​of special tool steel and the blades are hardened additionally in productive, for each faulty piece will be paid comp..
Kete artikull mund ta keni vetem me porosi! 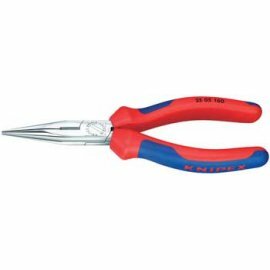 Dana 200MM BERNSTEIN 3-245-1 PHONE INSULATED PLIERS 200MM BERNSTEIN The pliers are made ​​of special tool steel and the blades are hardened ad..
Kete artikull mund ta keni vetem me porosi!! 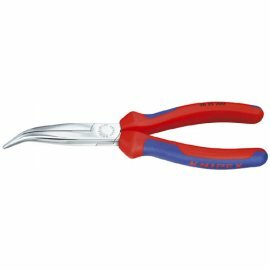 Dana 200MM KNIPEX 26 15 200 Snipe Nose Side Cutting Pliers distortion-tolerant, elastic precision tips half-round, long, pointed jaws with ..
Kete artikull mund ta keni vetem me porosi!! 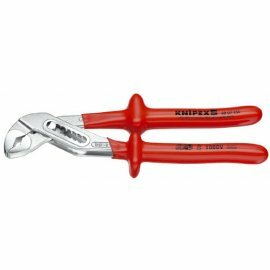 Dana 250MM KNIPEX 87 05 250 KNIPEX Cobra® Hightech Water Pump Pliers adjustment at the touch of a button directly on the workpiece fine ad..
Kete artikull mund ta keni vetem me porosi!! 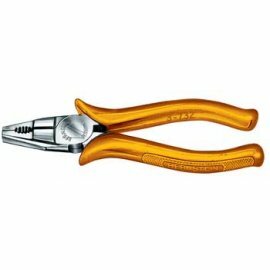 Dana Bernstein 180MM 3-733-1 COMBINATION PLIER 180 MM, BERNSTEINIT ISOLATION ..
Keto crimp dana dedikohen per konektoret RG59, RG62, RG6 ​​ ..
Kete artikull mund ta keni vetem me porosi!! 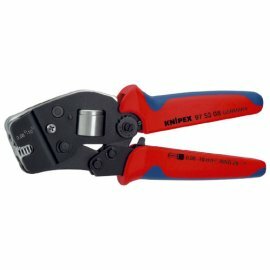 Dana KNIPEX 250MM VDE Water Pump Pliers more output and comfort compared to conventional water pump pliers of the same length: 9-notch adjust..
Dana kompresuese per RG59, RG6, F-SAT, BNC, RCA-Cinch CP-807 Waterproof Connectors Crimping Tool For RG59/6/BNC/RCA/F Waterproof Conn. 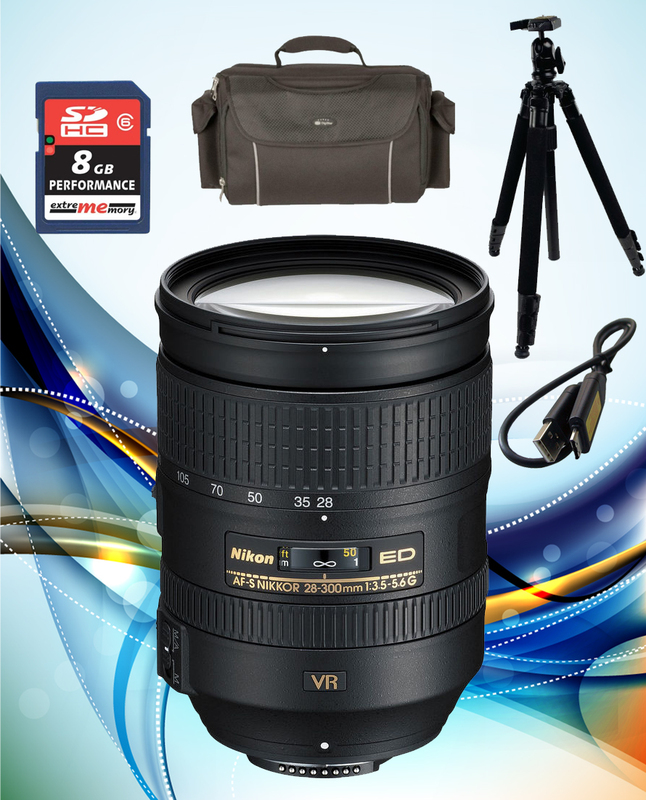 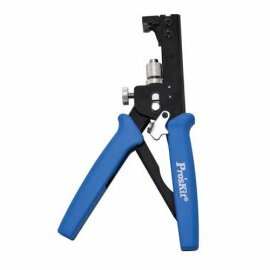 Features ..
Dana me maje 150MM VDE PRO'SKIT me izolim 1PK-709AS Snipe Nose Plier (165mm) Features OAL: 165 &nb..
Kete artikull mund ta keni vetem me porosi! 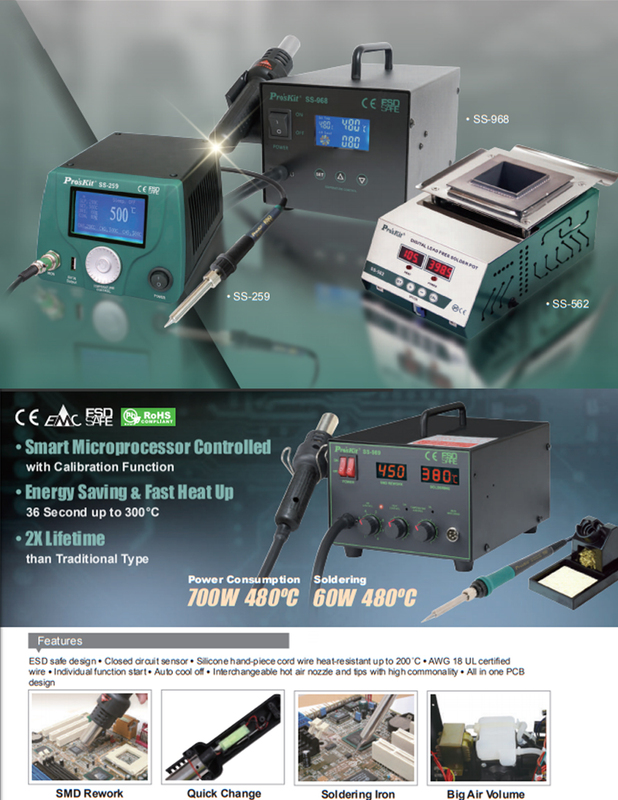 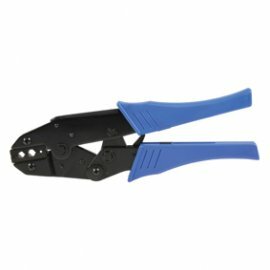 Dana per BNC dhe Koaksial CRIMPING TOOL FOR BNC AND TNC COAXIAL CONNECTORS ATTENTION! 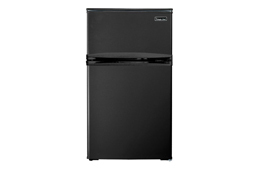 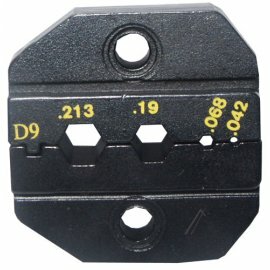 Bernstein provides here for production reasons only impo..
Me keto dana mund te vendosen konektoret te ndryshem RJ10 (4P4C), RJ11 (4P6C), RJ12 (6P6C), RJ45 (8P8C). 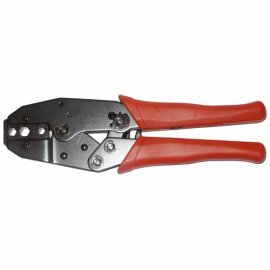 Keto dana dedikohen per konektor telefoni dhe interneti me 4, 6 dhe 8 pin. 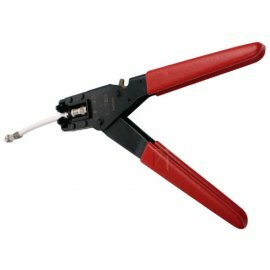 Lexo ne..
Dana qeruese qe largojne izoluesin e kablles CP-080E Wire Stripping Tool (Stripping Flexible Cable from 0.2~4mm) Features OAL: 172mm ..
Dana shternguese per papuqe. 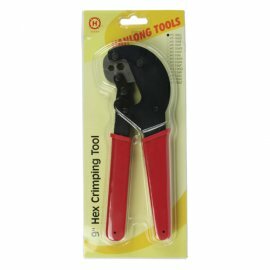 Insulated crimping tool, suitable for insulated and non-insulated terminals. 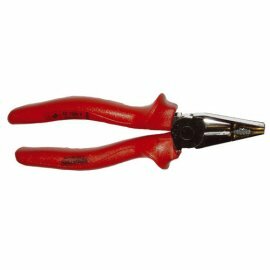 Red color code for insulated terminals, blue and yellow. 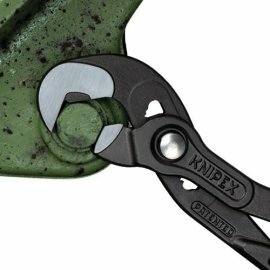 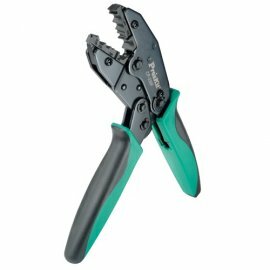 These multi-functional pliers ca..
Kete artikull mund ta keni vetem me porosi! 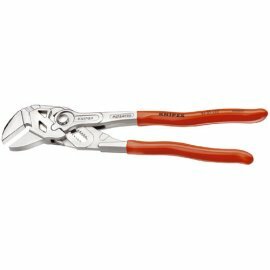 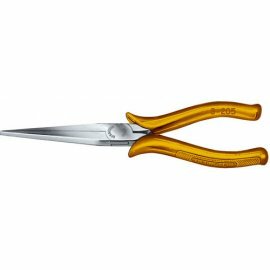 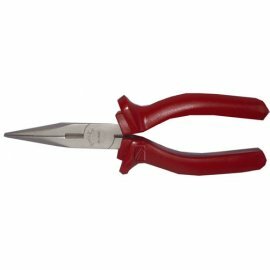 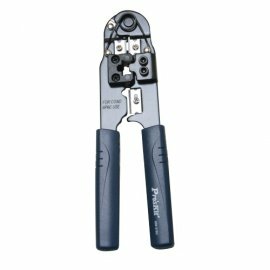 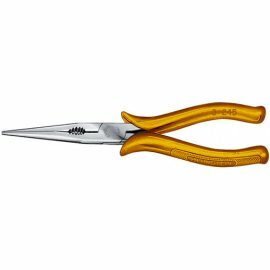 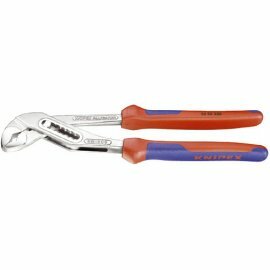 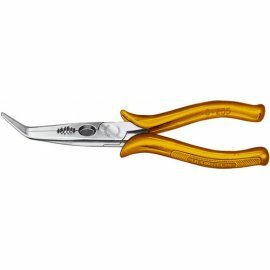 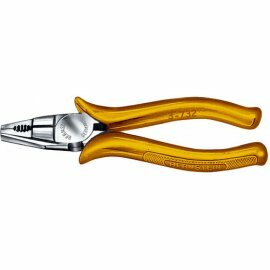 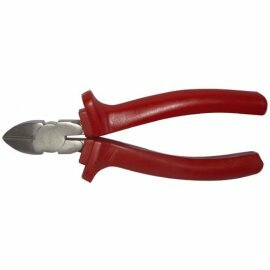 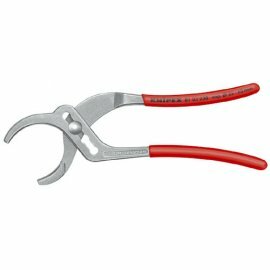 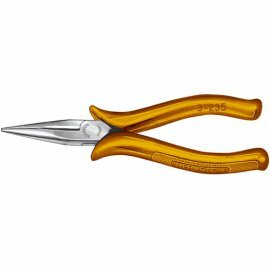 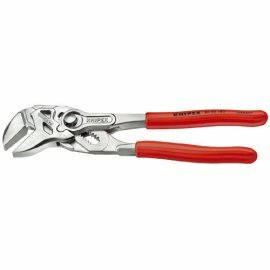 Dana VDE 160mm 13-936VDE COMBINATION PLIER 160MM SICHERHEITSA INSULATION Ju lutem na kontaktoni per cmimin aktual ditor , sepse ka mund..
Kete artikull mund ta keni vetem me porosi! 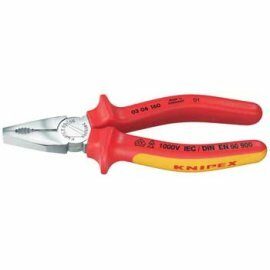 Dana VDE 205MM 13-938 VDE COMBINATION PLIER 205MM SAFETY ISOLATION Ju lutem na kontaktoni per cmimin aktual ditor , sepse ka mundes..
Shtrengues metali per kablla RG dhe BNC, TNC dhe konektor N. Mund te perdoren per kablla RG58, RG59, RG62. 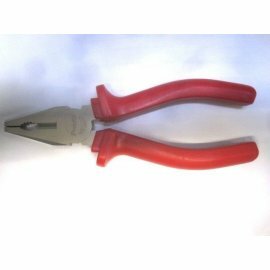 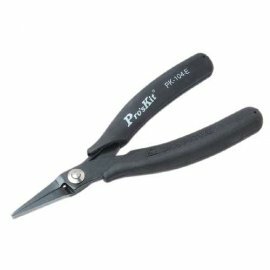 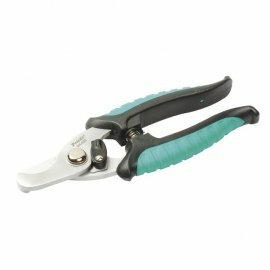 RG140, RG141 dhe RG210 Metal crimp-plier. 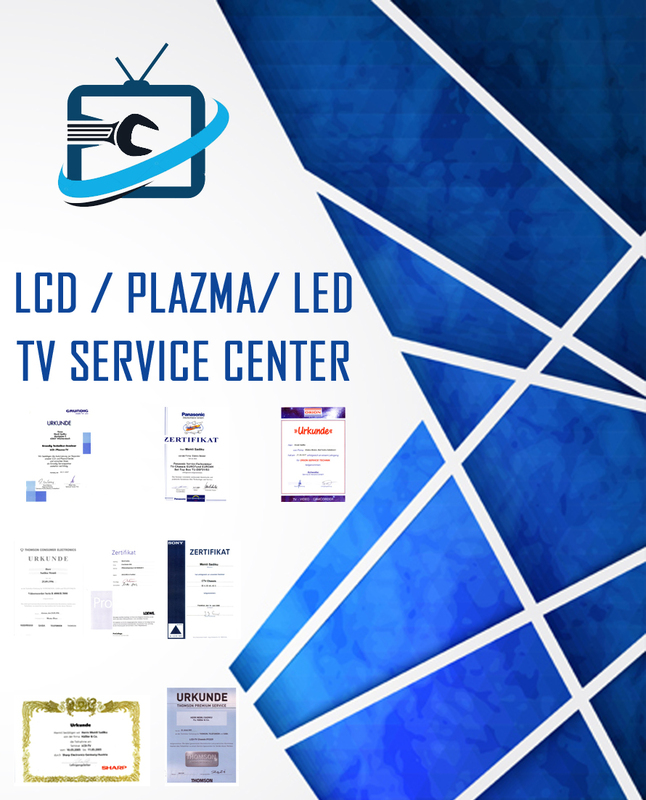 • Suitable for: F, BNC, TNC and N con..
Shtrenguese (dana) speciale per konektor te ndryshem Keto dana permes kokave shtojce kane mundesi te perdoren per konektore te ndryshem si RG8, RG11, RG58, RG59, CAT5 (UTP), BNC, papuqe te ..
Shtrenguese per kapse jo izoluse te kabllave, 220mm. 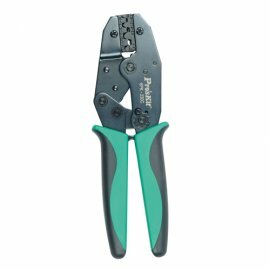 6PK-230C Inter-Locking & Non-insulated Terminals Crimping Tool (220mm) Features &..
Shtrenguese per kapse te kabllave 1.5, 2.5 - 6.0 mm 8PK-033 Heavy Duty Wire Strippers/ Crimpers Features OAL: 200mm &n..
Shtrenguese per konektor interneti dhe telefoni Me keto shtrenguse lidhen konektort e internetit RJ45 8 Pin si dhe konektoret telefoni 6 dhe 4 Pin. 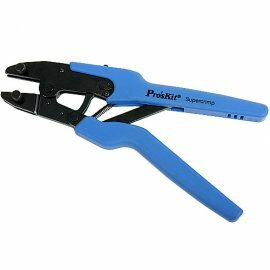 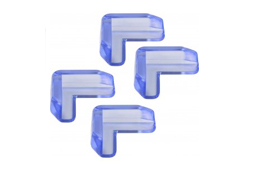 8PK-376FN Pro-Crimper Modular Tool ..
Shtrenguese per konektor RJ11/12 RJ45 KNIPEXProfessional tool for cutting and stripping unshielded ribbon telephone cablesFor crimping 6- and 8-pole Western plugs type RJ 11/12 (9.65 mm width) and typ..
Shtrenguese per konektor .8/8,6/6,6/4,6/2,4/4,4/2Keto shtrenguese te konektorve te ndryshem dedikohen per pune te perditshme ne puntori dhe ne teren. 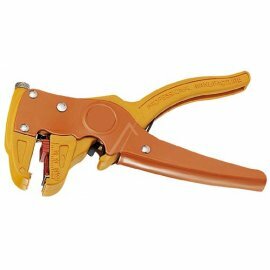 Robust dhe te qendrushme!Crimp tool application:wi..
Kete artikull mund ta keni vetem me porosi!! 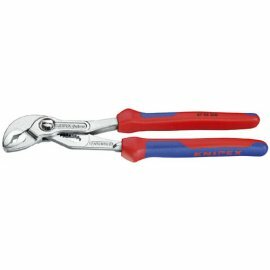 Shtrenguese per R600 Ju lutem na kontaktoni per cmimin aktual ditor , sepse ka mundesi ndryshimi! 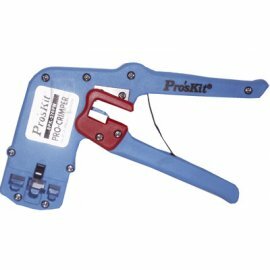 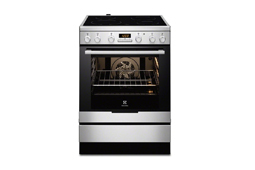 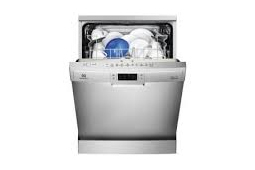 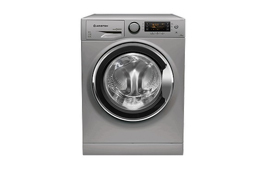 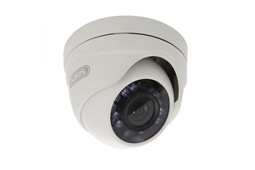 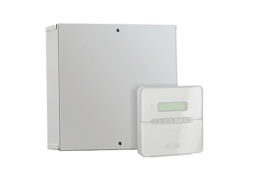 ..
Shtrenguese pershumicen e kabllave koaxial dhe BNC Per Koaxkabell: RG 55, 58, 59, 5, 6, 21, 141, 142, 143, 210, 212, 222, 223, 303, 304, 400; Belden 8279, 8281, 9231, 9141 8,2mm, 6,5 mm, 5..
Shtrenguese te konektoreve te telave. 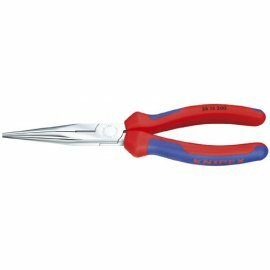 KNIPEX Made in Germany Knipex 97 61 145 A 9761145 A, 9761-145 A, Crimpers Crimping Pliers for End Sleeves (ferru..
Shtrenguse (dana) te kombinume 165mm Material HRC Application Individual packing S60C ..
Shtypese (Dana) per koka interneti ..